I am typing this post from bed Thursday night. It is here I have been since Monday night, sick. Achy body, cough and high temp. Quick fact- did you know that when an adult's temp is 102.6 (at least this adult) you think you might die. And then once it breaks, you feel magical. Unfortunately, I am stuck in that cycle for now. By the time your eyes see this post I pray I am done. Oh and for the record...I thought this was just a virus. Now I think maybe the flu, which I have never had before. If this is the flu, or even just an inkling of what the flu feels like- line me up for the shot and then some. Seriously, people, I am willing to take my chances!! The past three and a half days have made my hysterectomy look like a cake walk, I kid you not! In an effort to not lay here in misery feeling sorry for myself (yes, misery) I have spent a lot of time in prayer. A lot. And one of the things I have tried to do over and over and over again was remind myself of the many things I have to be thankful for. So many gifts from God. Like children who are self sufficient and able to run a household while their mom is down for the count. For friends who a week prior had already scheduled to bring a meal this week. Could that timing be any more perfect? For a friend who showed up at our door with supplements, raw honey, soup, tea, and juice. That may be the only reason I am able to actually type right now! For a husband who despite being extremely busy still calls to check on me. For a warm house and cool baths. For the countless messages from friends the past few days to remind us we are not alone. I could go on and on, but you get the idea. In the middle of our trials, sicknesses and stresses- God is still good and He always loves us. Forever. 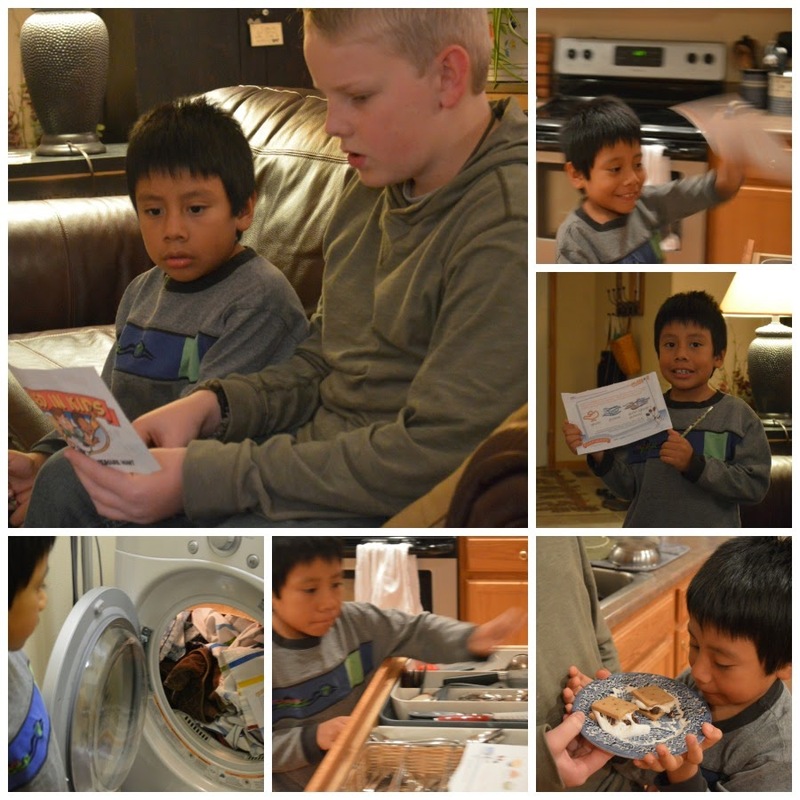 As some of you may already know, I homeschool two auditory learners who love to listen to books on CD. And I have a crew here that loves history. When you combine those two things together you have a review that my family asks for. Add to the fact that the audio book in question is one of GA Henty's historical books and it is one that my family begs for! Since we had several on a list to choose from, my 12 year old son asked for In the Heart of the Rockies: A Story of Adventure in Colorado, produced by Jim Hodges Productions. Whether it is because he spent several of his earliest years in that area and calls it home, or whether he just likes the history of that time, I am not sure, but regardless, he waited excitedly for the CD to arrive. In the Heart of the Rockies is a tale of adventure in the 1860s that lasts 10 hours and 53 minutes. That is a lot of adventure! And yes, you read that right- almost 11 hours! That is because this, and all of the other titles offered, are the unabridged readings of GA Henty's original tales. In the Heart of the Rockies tells of a young boy, Tom Wade, who looses both of his parents and decides to leave England in search of a his uncle who is prospecting for gold in the Rockies. What follows is a tales of courage and excitement that will keep you on the edge of your seat. While GA Henty's writing style may take you some time to get use to, you will soon find yourself engaged and having no problem understanding. And why GA Henty? If you have never read or heard one of this famous author's books you are in for a treat. With quality character traits that we can only pray our kids learn, to high adventure and elegant writing, these books will become family favorites. For our boys, the listening of them on CD only enhances the excitement! As a bonus, study guides for each CD are available for $12.00. Written by a lady who has a love for history, these guides are quality work. They have vocabulary, listed in the order the words are encountered rather than alphabetical, questions for each chapter, as well as additional activities for extra exposure. History, literature, geography, math and art are all covered. If you are a unit study kind of teacher, there is no doubt in my mind that this would make a great unit study for your middle school or even high school child! As for us, well, my boys said I was taking the fun out of the audio drama. Go figure. Therefore I let go of my previous "school" plans and just had fun. We used the guide loosely to discuss a lot of the questions, but only because we wanted to, not because we had to. We also liked having the vocabulary readily available to check on words that we were not sure of. One of the things I love about homeschooling is the opportunity to be flexible. And one of the things I love about these guides is the built-in opportunity to do so! You can do as much or as little as you want. Whether you intend to use them for graded school work or simply use them for your extra "fun" knowledge, they are well done and worth getting! You can purchase In the Heart of the Rockies for $25.00. It, and other CDs offered are recommended for ages 10 and up, mostly because of subject matter, but my 7 year old had no problem listening as well. If you have children sensitive to subject matters like death, I would advise you as a parent to listen first to determine if your child is ready to listen to this CD. Keep in mind that it only works on MP3 type players- for us that was our home computer only. Downloads are also available! 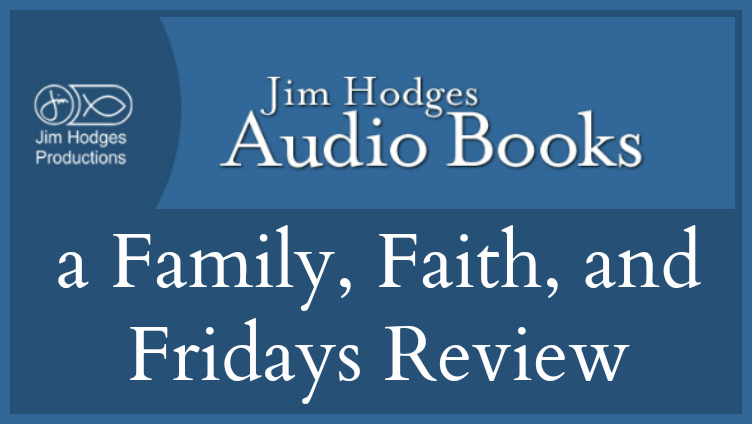 You can also find Jim Hodges Productions on Facebook! Everyone loves a treasure hunt, right? That's pretty much the premise of Clued In Kids! This cool little company has figured that out and made it easy for parents and educators to do treasure hunts of all kinds with minimal effort. I LOVE the minimal effort part. First you pick a theme. There are many to choose from so whether planning a birthday party, a holiday themed party, or just a rainy day activity, you will be able to find one that suits your needs. 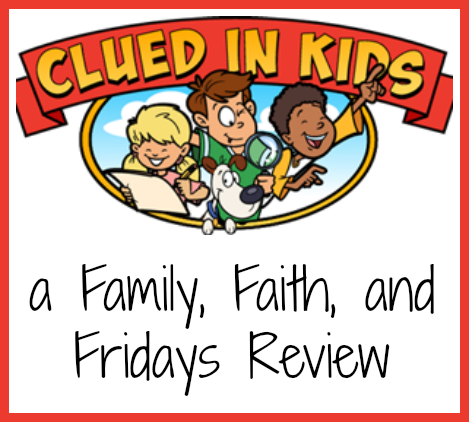 From fairies to pirates to Easter, Clued In Kids has you covered. Since our oldest has had to become wheat free we decided to try the Gluten-Free Treasure Hunt ($5.99) and then added the Winter Treasure Hunt ($5.99) for fun. All of the treasure hunts are recommended for kids as young as 4, but can be modified to fit older kids as well. Next you just print out the clues and you are ready to go (some of the treasure hunts are available as a physical product). At the bottom of each clue is the location of where you are to hide it. Places include your closet, your bathroom and your refrigerator. Once you have hidden the clues you hand the child or children the first clue and off they go. Solving clues involves filling in puzzles, looking for hidden pictures, and unscrambling words. Each solved puzzle then sends the children to the next clue. Of course, at the end of the hunt is a hidden treasure- your choice, of course! Fun and easy! My kind of activity. Let me tell you about our experience. We actually decided to do the Winter Hunt first. Because I am in charge of game night occasionally for a young church group, I decided this would be a fun activity to do with the group. We have readers and non-readers in the group, so I emphasized we were a team and needed to work together. Older kids read the clues and we tried to let the younger ones lead us to the next space. Tried, being the operative word, of course. ;) I also had to modify a few of the clues a little as we were in a church setting and not a house. The washing machine became the dishwasher and I had to "plant" a pair of shoes with one of the clues in it. Even with these modifications, the hunt was fairly easy to set up and just took a few extra minutes to change up. I taped the modified clue over the original one. And prizes, everyone loves prizes. 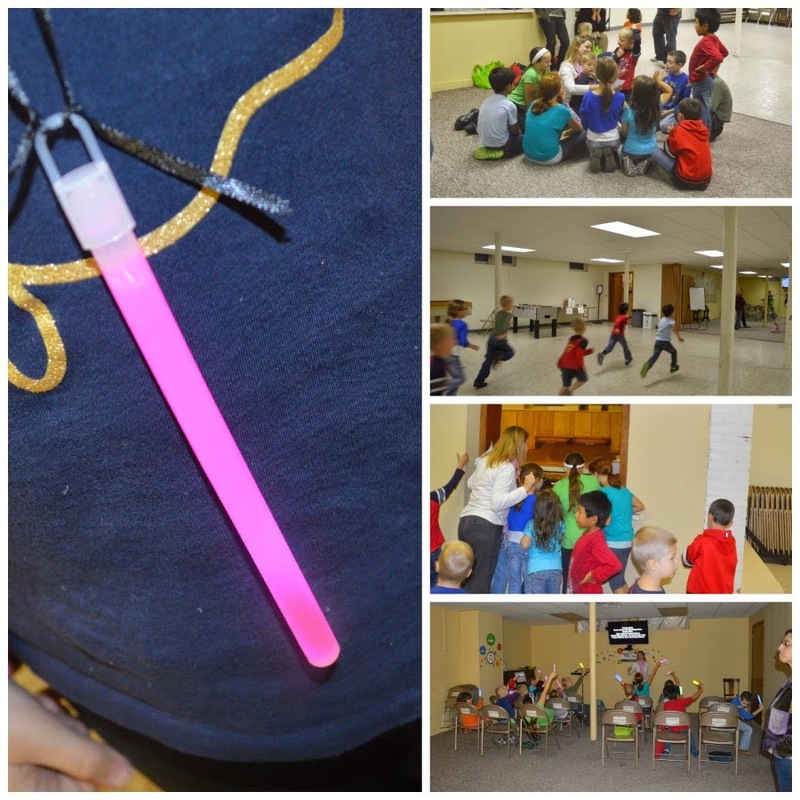 We bought glow sticks from the Dollar Store and the kids seemed thrilled. Remember, it is not about the end result as much as it is the thrill of the hunt! Ordering is easy! For $5.99, you can choose between a variety of themes to download! If you sign up for the newsletter, you will get access to a FREE treasure hunt! New Liberty Videos is a company that produces unique videos, most with historical themes such as Dead Seas Scrolls, Warriors of Honor, and Origins. We had the pleasure of receiving Anthem for a Nation to view and review recently. This video is intended for general audiences but does have some subject matter that may not be suitable for young children, such as abortion. I would encourage you to use discretion when viewing it with your family. Anthem for a Nation is a 42 minute video that first begins with a beautiful collage of scenery shots set to music. Many scenes like New York City and the Statue of Liberty are quickly recognizable, while others are not. My first thought was, wow, I wish we had been able to watch this video last year when we were studying American history. The video then launches into some basic American history facts like the signing of the Declaration of Independence and why Ellis Island was important to our nation's history. Again, included throughout are not only pictures and images from those time periods, but also video clips when appropriate. Just seeing videos of people in lines at Ellis Island gave me chills. It was at this point in the video that I felt like there was a switch in purpose. While still using historical facts, the video began to focus on the Biblical background of our country rather than just your common history facts and figures. This change did not bother me in the least, but for someone looking for a "school book" approach to history, this change is liable to bother them. In documentary style, the narrator points out the biblical background of the founding fathers and the constitution. He mentions that prayer is allowed before government sessions, but not in school and then talks about the results of this lack of faith in the public sector. Roe versus Wade is briefly discussed, including video clips of demonstrations. It is done tastefully and though my 7 year old did not understand what that section was about, it was a long enough exposure for him to ask what they were doing with "all the red signs." One of the things my 12 year old son and I found most interesting in the whole video was that the narrator pointed out that what he called the "epicenter of American government" in Washington DC were four buildings that made a cross when lines were drawn on a map to connect them- a lighthouse, the Capitol Building, the Washington Monument and the Jefferson Memorial. Whether intentional or not, it was a neat picture to see. My overall opinion of this video is that while it is done well and has beautiful quality, it is a little over dramatized. When songs like "America, You are Too Young to Die" and Lee Greenwood's "God Bless the USA" began my oldest rolled his eyes. We are probably more patriotic than your average US citizen but it seemed at that point the video took on more of a propaganda feel than one of American History being taught. "America is great because America is good. When America ceases to be good, it will cease to be great." I have to wonder if we are not already on that downward slide. You can purchase Anthem for a Nation and many other themed videos from New Liberty Videos for $19.95. You can watch a video clip of it on Youtube to get a better feel of the movie. Other titles were reviewed by our Crew members and I encourage you to check them out by clicking on the banner below. Who named it that? Because quite frankly there is nothing simple about living off the land. 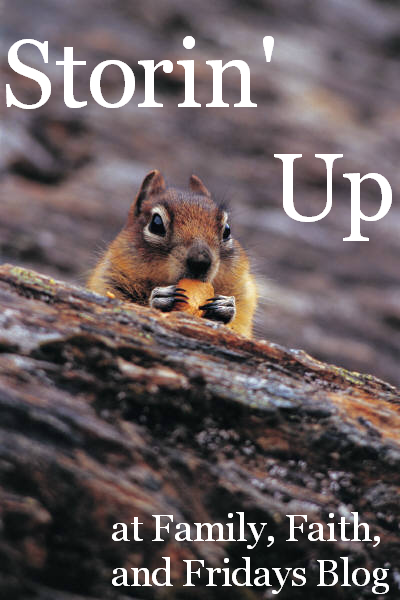 My kids have taken to calling me a squirrel lately. And not because I am easily distracted these days, though that may be true. But because they think it is funny that I am storing up for the winter. Because I can. And because it saves money. And because I love fresh food in the winter. And because I am perfectly happy to stay inside all winter long, snuggling with my kiddos and reading a book. And watching the snow fall. And help process 60 some chickens for the freezer. and a cow is on the calendar! For the record, when the de-feathering machine stops working, I go on strike until someone fixes it. I am not a hand plucking kind of gal! Which is why it is always good to have an engineering student helping with the process who knows how to fix things!. And in case you think the girls did not do much, proof- of a little work and a little fun too! Next on the list of things to do- elderberry syrup! We have used it in the past and swear by it for staying healthy! Now, if I could just find a way to stock up on chocolate! ;) Lots and lots of chocolate. I think I am going to need it! Each day has been given to us by God. Each day we should wake up and rejoice in that! Because let's face it, otherwise there is a lot to be discouraged about. If we take our eyes off God and put them on our circumstances or the circumstances of those around us, we will not feel much like rejoicing. It is just that simple. Life is hard. Days are hard. Sometimes minutes are hard. But we have a God that loves us. He has given us our time on this earth to love Him, glorify Him, and tell others about Him! 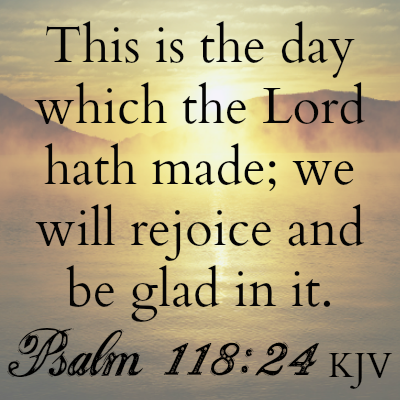 To rejoice in Him and the day He has made. Each day. No matter our feelings, no matter our circumstances. Or maybe, despite our feelings and despite our circumstances. God is bigger than any of that! Teaching that to my kids and myself this week!! It is no secret that we love foreign languages in our house. Well, Spanish in particular. Our youngest was born in Guatemala and came home speaking only Spanish at 21 months. Since then we have worked to keep him exposed to his native language and to keep his sibling familiar with the language as well. (They all need at least two years of a foreign language to graduate from high school anyway, right?) When one does not have a bilingual background it can be quite difficult to do so, but hey, I am determined to try. 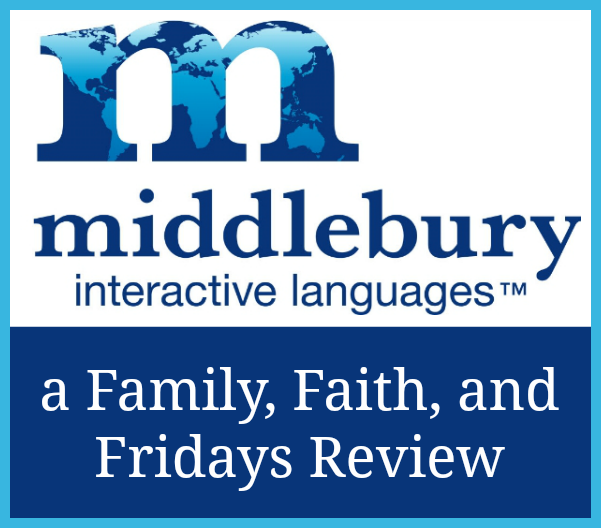 Which is why I was so excited to get to try and review Middlebury Interactive Languages. We were given a semester's worth of classes from any one of the available courses, so naturally we chose a Spanish Course. Because CJ is currently in the middle of a very busy semester we decided to try the middle school program for our 7th grader. Lucky for you, you can use Middlebury for ages K-12th grade! Here what is available! This self-paced program is pretty amazing. The K-2nd grade program consists of 35 lessons for a semester and the 3rd-5th grade program has 45 lessons per semester. Middlebury recommends that you cover one lesson for 2-3 days per week. The middle school and high school programs both have 90 lessons per semester, allowing you to cover a lesson a day for 18 weeks. Since the program is self paced, you can slow down if needed, which is what we had to do several times. Some days are pretty heavy in vocabulary and I wanted to make sure my son was retaining the information presented rather than just checking off lessons. 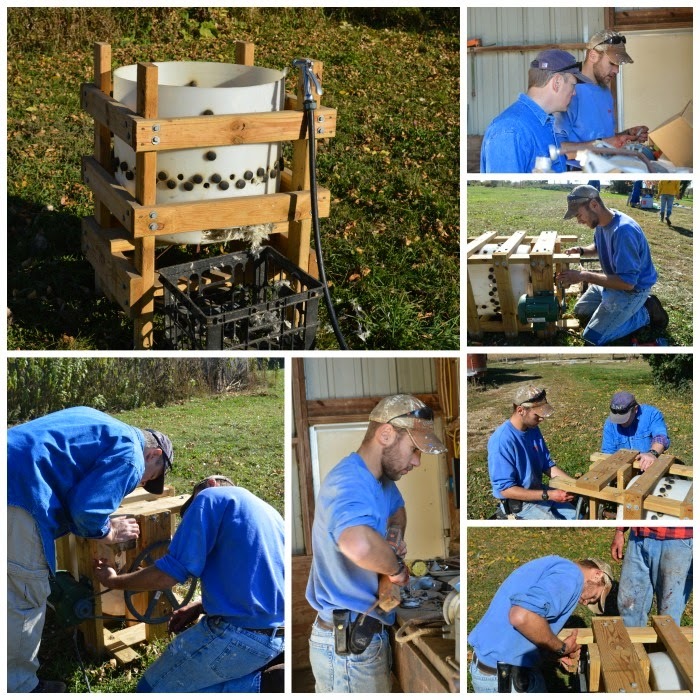 After sitting with him for the first week and following along, he was able to continue the program on his own. One of the things that attracted me to Middlebury Interactive Languages was the audio and visual content. Since two of my kiddos learn best with those mediums, I knew this would be a good fit for them. The content is visual pleasing and yet stimulating and the sound is good quality. I especially appreciate the use of videos to show real life interactions. After traveling to Guatemala several years ago, we realized that you can know all the vocabulary in the world and still not be able to communicate effectively. By exposing ourselves to more natural settings and conversations, we hope to better be able to function in a Spanish speaking country. The lessons are broken down into sections that are less intimidating chunks of information. Each lesson follows a similar pattern but with enough variation to not produce monotony and boredom day after day. There is a little fun sprinkled in between some more challenging sections. Let's face it, matching is a lot less intimidating than writing. I think Middlebury has done a good job of finding that balance. There is a recording function! Phrases were said and then my son could record himself and play it back to see how he sounded compared to the native speaker. Love it! Once a section has been completed, the title gets checked off to indicate it has been done, making it easy to keep up with where you are when accessing from the table of contents. There is automatic grading which is then recorded in a gradebook you can access in the sidebar. Here you can see not only the grades of your student, but go back to view the items graded as well if you desire to see where exactly they are having problems. Typing in words and sentences. This just may be my son, but these sections discouraged him. It is hard enough to type and spell in your native language, but when trying to do so in one you are just learning, it can be frustrating. Through a necessary evil I guess. There is a calendar with assigned lessons listed that put a lot of pressure on my son to keep up. We eventually stopped using that calendar and accessed the next lesson in a different sidebar area. Again, there were a few times we felt the need to repeat a lesson and the calendar was making him crazy! 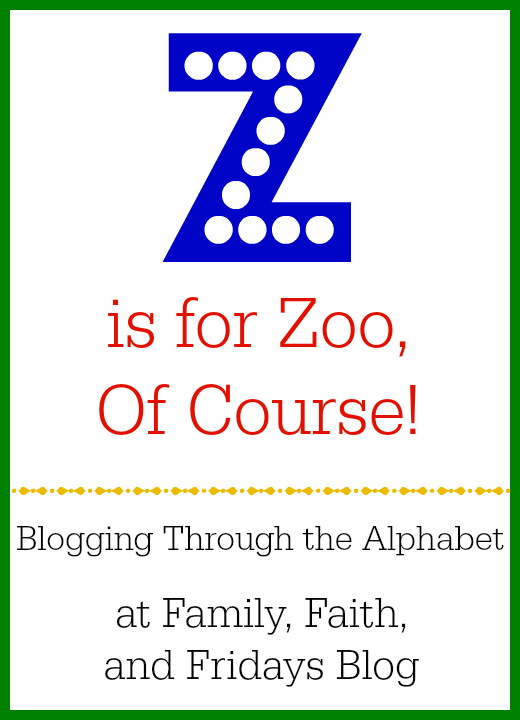 Z is for Zoo, Of Course! 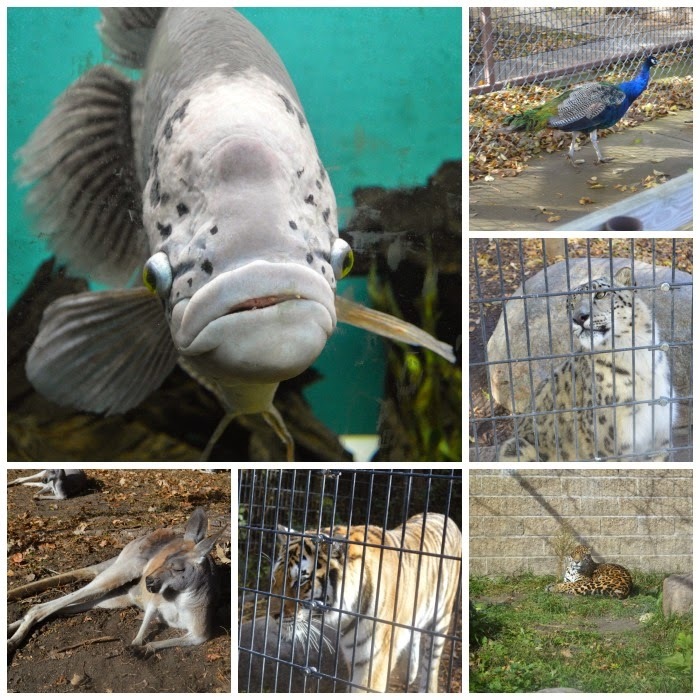 Z is for Zoo - what else? What is funny about that is I had been struggling with what to do our last Blogging Through the Alphabet post on, and in God's perfect timing, we spent the day at the zoo with friends last week. Hey, it's the little things, right? Yes, we might have been as big a spectacle as the actual animals. When you travel in packs that seems to happen! Yep, that is a big group! 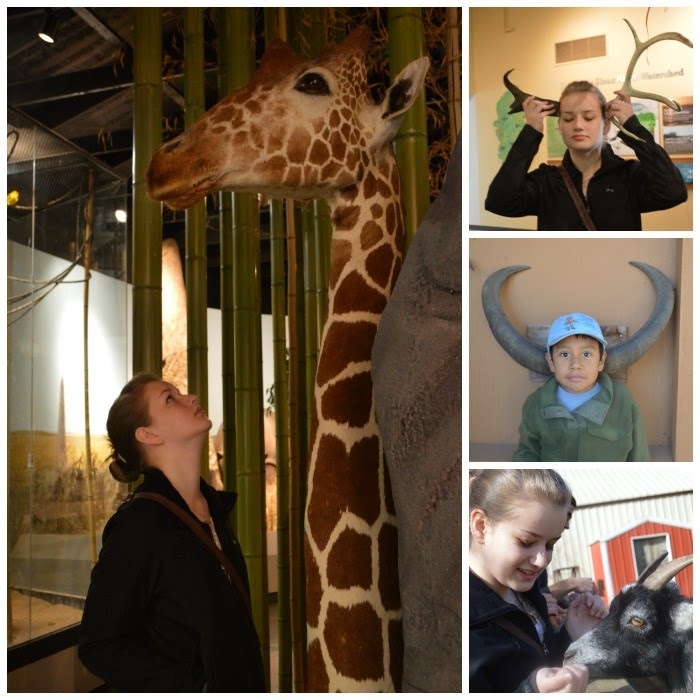 But let me tell 'ya, the zoo is much more fun that way! Thank you T family for spending the day with us! Let's face it, parenting is hard. And parenting preteens and teens can often be even more difficult. But there is help out there to help us navigate the difficult times and issues we often face. 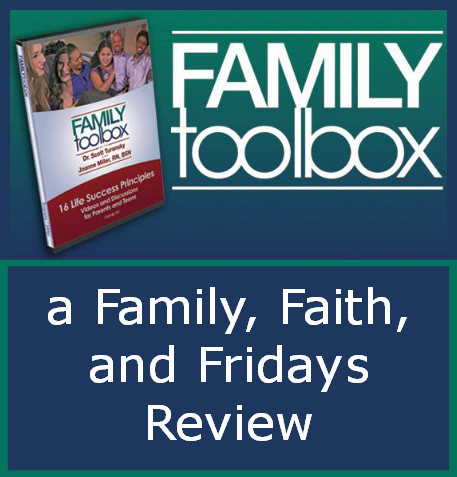 The Family Toolbox, produced by the National Center for Biblical Parenting, for ages 10-18, is one of those resources. And a GREAT one at that! I recently had the pleasure of being on a promotion team for The Family Toolbox and able to use the resources in my own home with my family. This DVD based program is meant to teach parents how to handle issues with their kids as well as help children learn to modify their behavior. 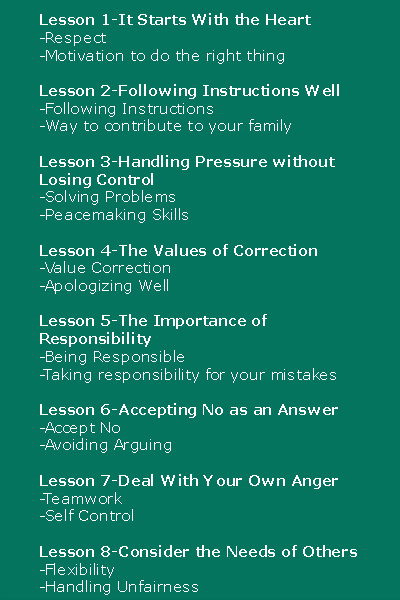 Each of the 8 video lessons teach two Life Success Principles. Each lesson taught is broken down into two separate video clips. This first clip for each lesson is a 10-12 minute discussion with authors of the program, Dr. Scott Turansky and Joannne Miller, RN, BSN. These discussions are meant for parents to view alone. In them, they discuss the two life principles being taught and strategies for teaching those lessons. Biblical background and examples are used when applicable. The second video clip is 1-2 minutes long and intended to be watched together as a family. That video is a dramatized family scene, highlighting two Life Success Principles that need to be addressed. Once your family watches the videos together, you turn to the accompanying workbook. In there you will find a few different resources for each of the 8 lessons. The first is a general overview of the lesson, telling you what two Life Principles are being taught and what to look for in the video. You as the parent should read through this section before beginning. The next thing you will find is a teen success worksheet. On that worksheet is a scene introduction and discussion questions. The discussion questions are broken into two parts, one for each of the Life Principles. These questions cover things from "what did you see?" to "what would you do?" type questions to help facilitate family discussion. Each of these life principles is related to a bible verse and a question is tied to that part as well. The lesson concludes with some thoughts and a prayer. The final resource you will find is a parent page. This page helps you as a parent to think about and respond to not only things you heard in the parent portion of the video but also the family video clip. It allows you to work through some of the strategies and put your thoughts and plans on paper. Wow! I have to admit I am impressed. Many years ago my husband and I taught a parenting program that we loved and this reminds me of it in many ways. Powerful ideas but in an easy to learn format. I like that the video clips for the family are short, but can be used to get a conversation flowing. They do portray some pretty harsh scenes with arguing and harsh words, so I would suggest you preview them beforehand to make sure you are comfortable with them as well as be careful using them with younger children in the room. The questions are good, solid questions that will be helpful if you feel you need guidance. Otherwise, I would encourage you to listen carefully to your children and let them help direct the conversation. As the authors state, "Behavior is a symptom of a heart issue", and I think we all often get so caught up in just "fixing" the problem that we forget to fix the heart. My favorite lesson? Lesson 6- Accepting No as an Answer! The authors point out that we must teach our kids to live within limits. After all, that is a skill that we will take with us into adulthood. By teaching kids to accept no as an answer and by teaching kids to be problem solvers rather than whiners, we can say goodbye to arguing, badgering and whining. Sign me up! I love that there are real life solutions taught as well. In this chapter an example is saying to your children, "That's whining, come back to me with a solution." By equipping ourselves with simple statements like this, we are helping children take control of their own behavior and responses. The Family Tool box can be purchased for $99.95 or downloaded for a suggested donation of $79.95. Y is for You Need to Hear This!